Not official releases. Nor originally illustrated Vectors. Just made from raster images found on the internet and image-traced into a vector file. If there is a better version, let me know please! The vector is available in SVG and PDF formats. Optionally, a hi-res PNG raster image is also included! High Resolution PNG. Not ideal as vectors. But in cases like uploading into Social Media etc. this can be used. In own websites like blogs and official websites, SVG is preferred. 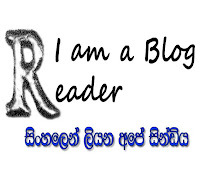 ........................ - ....................................................මට මොකෝ.......ඔයිට වැඩිය හිතන්න මට ඕනෙ තරම් දේවල් තියෙනවා...!! !